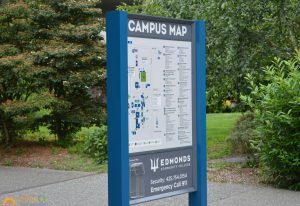 Wayfinding signs are silent heroes when it comes to giving clients and customers satisfaction and convenience in a facility. We all have experienced the frustration of not knowing where you’re supposed to go. At Cogent Signs & Graphics, Inc., we know that each wayfinding sign must be more than just aesthetic, they must also serve their purpose in the most effective way possible. These signs serve two key functions: to give direction to people who are in unfamiliar environments and to introduce an organization’s brand identity to them. We’ve been in the sign-making industry long enough to know exactly how to accomplish this for you. 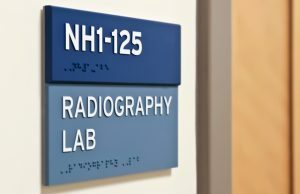 Whether you’re a school, clinic, retail store, office, hospital, warehouse, library, or any other facility, Cogent Signs & Graphics, Inc. can be your reliable provider of effective wayfinding signs that suit your brand and your budget. Tell your customers that they’re at the right place with high-quality signs from Cogent Signs & Graphics, Inc.. With our location identification signs and address signs, you can give customers and even potential customers a great first impression while making their visit convenient and hassle-free. With our wide array of options for materials and designs, you have the freedom to choose exactly the kind of signs you want, and we can create them for you. 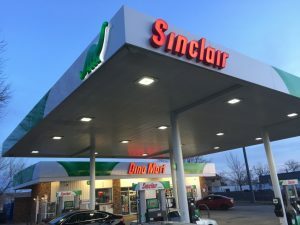 Whether you need fascia signs, post and panel signs, electronic signs, neon signs, or even room identification signs, we have what your business needs to get noticed. For outdoor identification signs, you don’t have to worry about getting them replaced every few weeks. We fabricate our products in-house to ensure that we create signs from the best materials and through the most effective methods. When you work with Cogent Signs & Graphics, Inc., you can expect quality, durable signs that won’t hurt your budget. Avoid unnecessary confusion by giving customers and visitors visual cues about their destination and how they can get there. 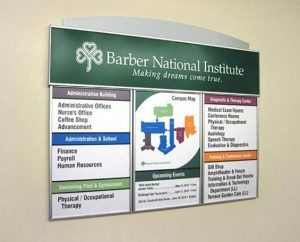 Directional signs are usually installed at junctions where people might look for guidance and directions such as near reception desks, elevators, lobbies, and loading docks. Besides the text and design of directional signs, its placement and location are vital in ensuring that it fulfills its purpose. Cogent Signs & Graphics, Inc. can definitely help you with that. As an established signage provider, we know all about strategic placement and ensuring full visibility of your directional signs. With the right information signs in your facility, customers and visitors can feel confident and secure wherever they are inside your facility. Cogent Signs & Graphics, Inc. can help you get signs that may answer your customers’ most frequently asked questions about your facility. 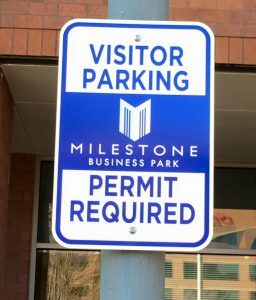 From standing signs, plaques, digital displays, to vinyl lettering on your windows, Cogent Signs & Graphics, Inc. is sure to have the perfect information signs for your business. Our team of signage specialists also include graphic designers who know how to lay out and arrange your information in a way that emphasizes the message without compromising the sign’s aesthetic appeal. Regulatory signs help visitors to your facility know what they should and should not do. They are vital to any business’s goal in creating a safe environment for customers and visitors. Wayfinding signage that fall under this category include no-smoking signs, no-entry signs, speed limit signs, parking signs, etc. Cogent Signs & Graphics, Inc. offers to create regulatory signs that are designed and installed well, and they can also comply with legal requirements. The specific standards set by the Americans with Disability Act (ADA) for signage are also something that Cogent Signs & Graphics, Inc. is very familiar with and something that we consider during the entire sign-making process. We’ve been in the industry for many years, and this has resulted to extensive knowledge about the basics of wayfinding design. 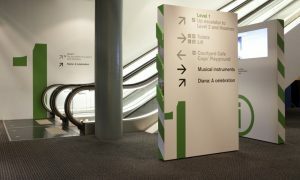 Our team of designers and sign experts know which sizes, typefaces, and colors to use when designing wayfinding signs. And our expertise doesn’t stop there. We are a full-service sign company and can walk with you through the entire process. We’ll help make your desired design a reality, we’ll source your preferred sign materials, we’ll implement our environmentally sustainable process when manufacturing your order, we’ll strategically install the finished product, and we’ll make sure you stay happy through our reliable maintenance service. Whether your business needs identification, direction, information, or regulatory signs, Cogent Signs & Graphics, Inc. is here for you and is more than happy to deliver the signage that helps customers step into your facility as well as gives them a satisfying experience. Let’s sit down and talk about how our wayfinding signs can improve your business. Call Cogent Signs & Graphics, Inc. today at (949) 284-6977 for your Free Consultation with a Wayfinding Signs Expert! Highly recommended sign company right here. They will hold your hand every step of the way.